Storylines was the usual mad crazy happy experience...with hundreds of kids watching, listening, imagining, making, eating, playing and loving children’s books with author’s, illustrators, storytellers and performers of one kind or another. It’s lovely to turn around from welcoming a visiting author and introducing them to an audience to find a young fan who wants to talk to you about your book and have you sign it. In amongst the busyness I took a look on the blogosphere this morning to see what the hotly retweeted articles were....and discovered these gems. Kristen Lamb has two great posts up on her blog this week. The first deals with how to break your addiction to the little darlings in your manuscript and Kristen offers an hilarious 12 step programme to help you Kill Them. Bob Mayer has been visiting down under. He presented at the Australian RWA and last week end was one of the keynote speakers at New Zealand’s RWA. He has some wonderful things to say about both conferences and he is handing out accolades to us down under. Check out his article posted today on his experiences...and then have a read of another article posted this week where Bob has talked about The Myth Of The Backlist And The Dramatic Change In Publishing...lots of comments on this one about the spaghetti stick model of publishing. Mediabistro has a great article linking to a nifty set of instructions about converting PDF’s to Kindle files or epub files. This is particularly timely with Kindle about to be released here...in time for Christmas. The Kidlit team have a great article on overwriting...and how to spot it....and how to fix it! Daily Writing Tips has a great article on Brainstorming for writers and 5 strategies you can use. Using Video Effectively...this is a great article looking at tips and tricks to enhance your website with video. 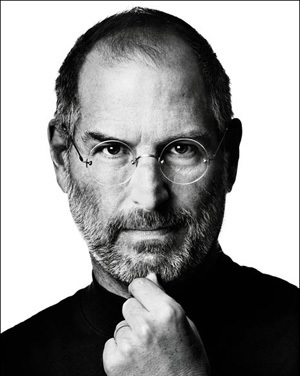 Today Steve Jobs resigned as CEO of Apple. Immediately the share price dropped. However he will still be involved in other ways while he still can. This is one of those watershed moments in technology. Because love him or hate him he has changed the face of technology and the way we use it...from our iPods out running to our iPad on the bus...not to mention the mobile phones, iTunes, the Pixar movies, animation technology we take for granted now... The Wall Street Journal gathered an impressive list of quotes over the years from Steve. Look back and see what he thought the technology world would do and be as he began to unleash his imagination and drive on our digital world.